I have actually forgot to post the August Favourites, hence why the September Favourites post has been posted before this one! 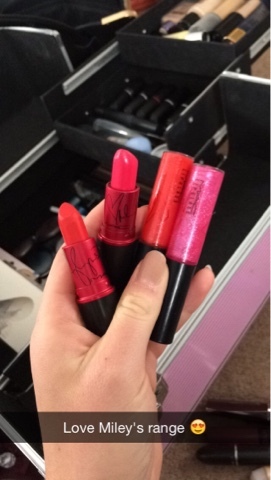 I don't have a lot to talk about as I don't remember what I used much that month, however I did manage to get hold of Miley Cyrus' new Viva Glam range and were using both her shades throughout that month religiously. The Viva Glam 1 is an amplified hot pink which looks great on with a smoky eye in the evening or in the day with a bit of black waterproof mascara. The Viva Glam 2 is an orangey-red matte finish which looks fantastic with a classic winged eye liner and false lashes. Do you own any products from Miley's range? Which one do you prefer?